In less than 72 hours, Felicia and Elkan are leaving for Singapore. 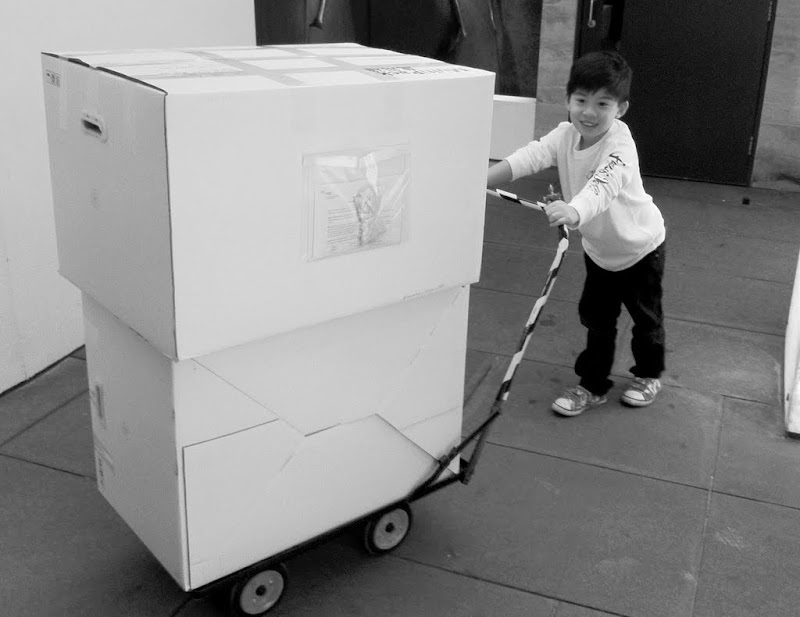 Over the last 2 days, we have been packing and shipping our stuffs back home. Reality starts biting into my heart. I tried telling myself that this won’t be a long separation and everything will be okay. It is really quite difficult for me to handle their absence. Especially Elkan, he is the life of the house. His voices, his laughter and all his pranks – I am going to miss all of these. At the same time, I am happy that he will in the arms of many loved ones back home. Family comes first for me. 4 years… that is how fast time flew by. Felicia and Elkan have been on the move with me – from Shanghai to Hong Kong. So fast, my little baby is already 6 and he will be attending Primary One in less than 2 weeks. While it is a short-term separation for us in Hong Kong, they will be reunite with the family and friends back this Christmas. Unlike my previous re-locations, Elkan is the main reason why we are moving back to Singapore. (For his education and the reunion with the old folks.) Hopefully, he will get used to his new life back home. Indeed, this will be a new chapter for everyone – not just for Elkan but more for Felicia and me. Life will be very different again. And honestly, I have no idea how things will turn out in the next 3-6 months. Many of my friends have moved back to Singapore and most of them regretted the move. I am not the only one who will be missing their presence. 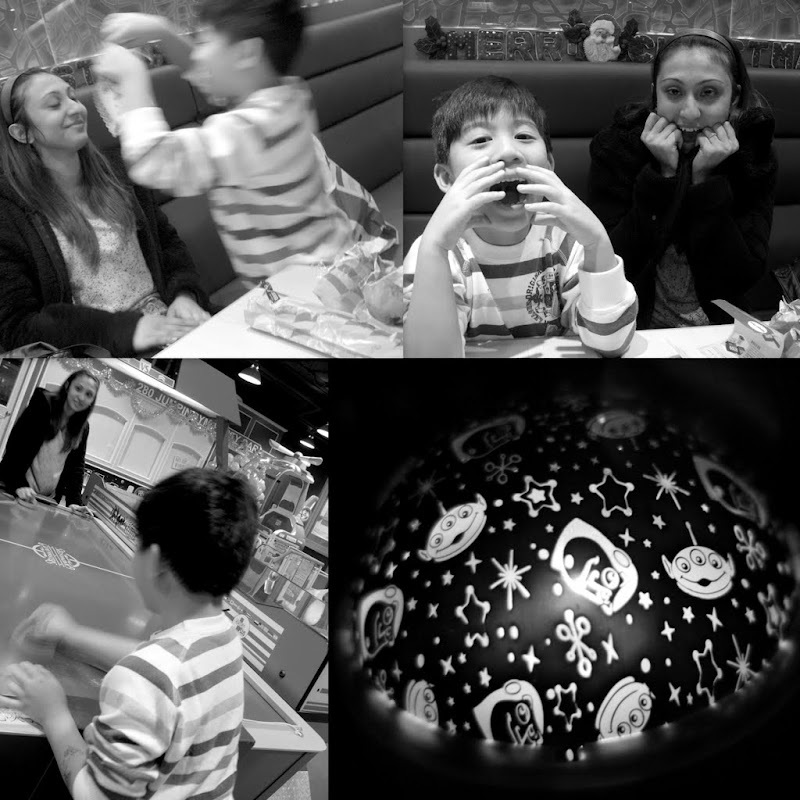 Elkan’s teacher Jas, his Korean & Hong Kong school mates and his weekend buddy, Harshad will miss him a lot. Last week, Felicia organised a mini farewell party for the children. His teacher, Jas came by specially last Wednesday and spent the afternoon playing with Elkan at the amusement center. Nursing a fractured shoulder, Harshad came by this afternoon and played PS3 with his favorite “Rock-Star” buddy the entire evening. Before he left, he gave Elkan a farewell gift – a very nice “Wolverine” headphone. Elkan knows that he is leaving Hong Kong and he is looking forward for his new life in Singapore. Over the past few weeks, he has been telling everyone about his new school in Singapore. 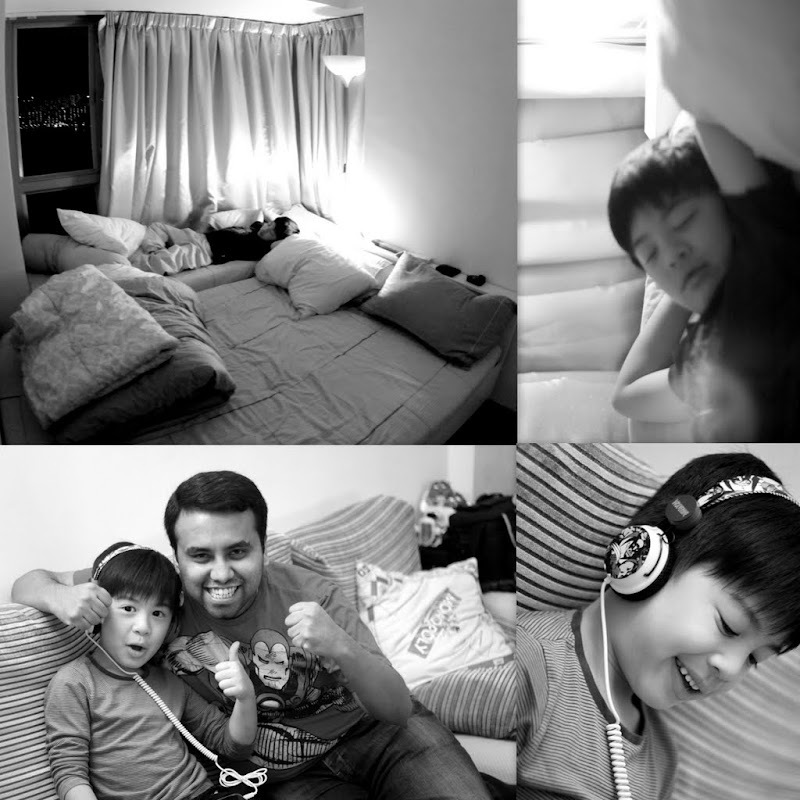 Since last week, my boy has been tugging in our bed, spending his last Hong Kong nights, snoring beside me. (And he will be tickling me every morning to wake me up!) Yes, I am going to miss all his pranks. 2 months ago, they weren’t around for only 1 week and the house was so empty and different. This is not our first separation but my heart tells me that it will be another painful one for me. Just like our first. It won’t be a long one, I am sure. Oh my… this made me tear!!! 🙂 Elkan will be in Singapore to “prank” on you..
HAhahah okok… can you email me Felicia’s contact? Hi Joe, so you’ll be moving back later? ai yoh, reading your msg brings tears in my very big eyes!!!!!! are you going back for christmas or are you spending time to complete the everything here before moving? it won’t be long ok….. poor thing. come over to shanghai for a short break, will make sure hovman and I will spend lots of time making hell lot of noise and hanging around you till you get so sick that you want time alone. i love this page by the way. so honest and real both writing and pics….. hmmmm,….. i like.